Not currently available for purchase. With or without fog effects, light up your venue with the American DJ Mega Pixel LED. From ADJ this Ultra bright, 1-Meter indoor chasing LED effect color bar makes sure your party has the best possible lighting. With Bright Red, Green and Blue LED banks of color chase, strobe and mix colors you will be able to provide all of the effects people have come to expect from a great show. Some features include, 384, 5mm LEDs (128 Red, 128 Green, & 128 Blue LEDs, 24 x 16 LED color banks (16 LEDs per color bank), AC outlet on rear to daisy chain power, 4-button LED display on rear panel. The American DJ Mega Pixel LED is perfect for your indoor venue and with the LED lighting the colors won't fade over time. These lights can run all night and still be providing you with the same quality light at 3 am as they were at 9pm. The Mega Pixel LED gives you superb lighting effects with Electronic Dimming 0 - 100%: Control Red, Green & Blue LEDs independently, and 3 control modes: DMX-512; Master/slave sound active; American DJ UC3 controller. You can add more lighting fixtures to your truss with security and confidence, with the ADJ O-Clamp. The O-Clamp has a 1. 5" diameter, and boasts a non-scuffing, non-scratching, non-scoring, and non-denting design - which means your truss will last a lot longer than it would if you used lesser-quality lighting clamps. 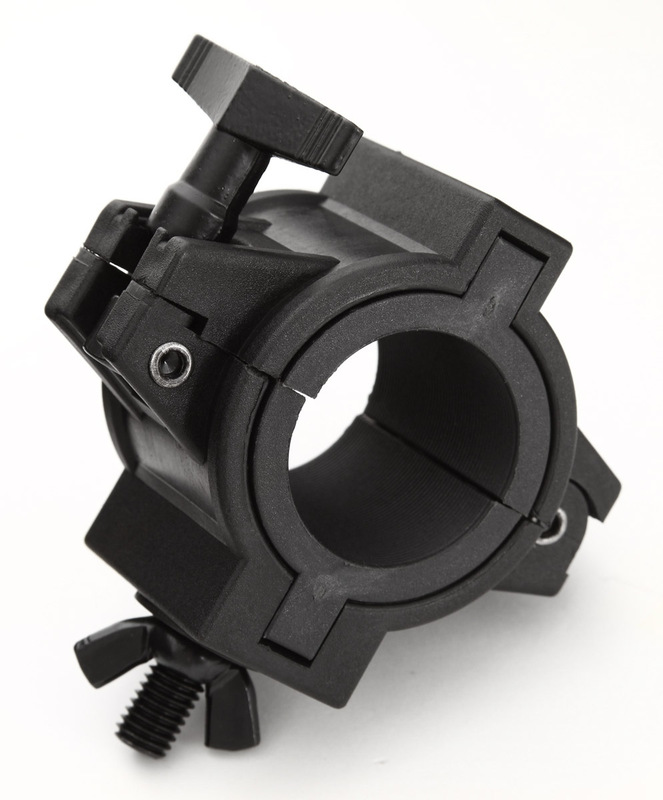 So add more lights to your rig the right way, with the ADJ O-Clamp 1.5 truss clamp. With or without fog effects, light up your venue with the American DJ Mega Pixel LED. 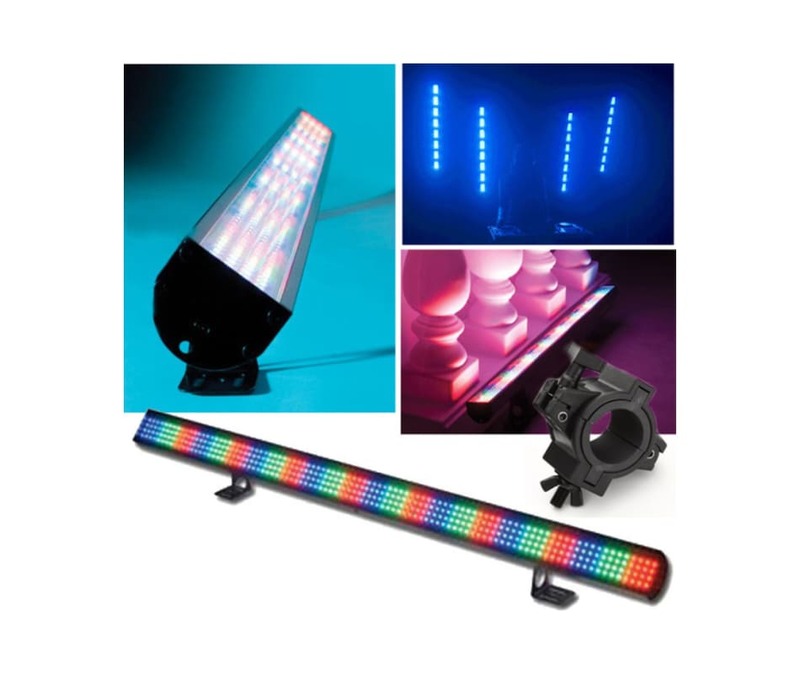 From ADJ this Ultra bright, 1-Meter indoor chasing LED effect color bar makes sure your party has the best possible lighting. With Bright Red, Green and Blue LED banks of color chase, strobe and mix colors you will be able to provide all of the effects people have come to expect from a great show. Some features include, 384, 5mm LEDs (128 Red, 128 Green, & 128 Blue LEDs, 24 x 16 LED color banks (16 LEDs per color bank), AC outlet on rear to daisy chain power, 4-button LED display on rear panel. The American DJ Mega Pixel LED is perfect for your indoor venue and with the LED lighting the colors won't fade over time. These lights can run all night and still be providing you with the same quality light at 3 am as they were at 9pm. The Mega Pixel LED gives you superb lighting effects with Electronic Dimming 0 - 100%: Control Red, Green & Blue LEDs independently, and 3 control modes: DMX-512; Master/slave sound active; American DJ UC3 controller.